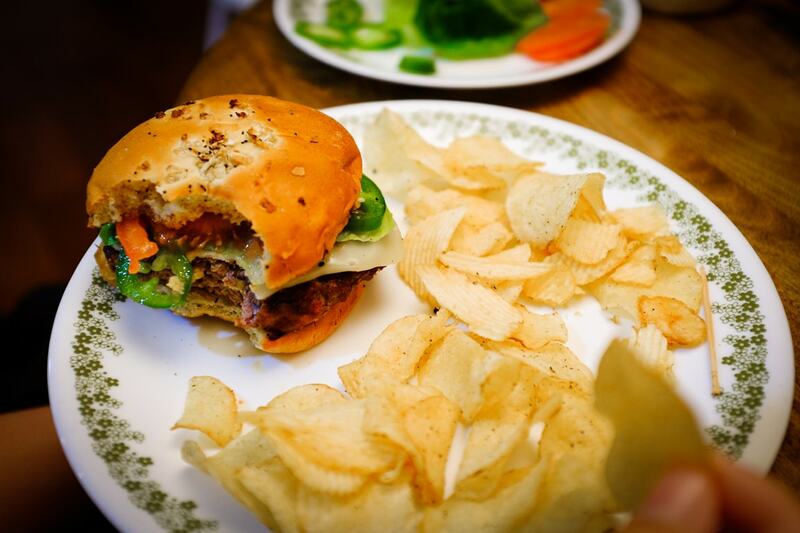 Today we decided to barbeque some burgers for dinner, so I fired up the charcoal grill (for maximum flavor) and made some good-sized patties using both ground chuck and ground pork. They were tasty and still pretty juicy, which surprised me a bit since the pork tends to be on the dry side. Toppings were pickles, jalapeños, cheese, Romaine lettuce, onion, tomato, and the usual condiments (plus habañero sauce). Was a yummy and filling dinner! 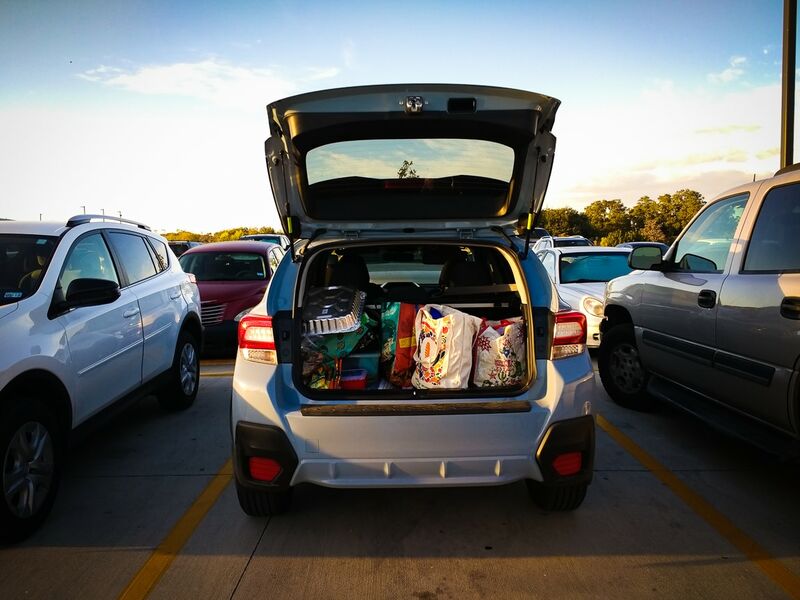 The photo below shows the grocery haul in the back of the Subaru. You can see the roasting pan for the turkey. Thanksgiving is just around the corner here in the States!